What started as just their dad and a pick-up truck has grown in to a $60 million a year business with more than 200 employees. M. Luis Construction does asphalt and concrete paving, milling, and street maintenance. Since the sisters took over the company three years ago, they have focused intently on building their company, giving back to the community and serving as role models for young women. 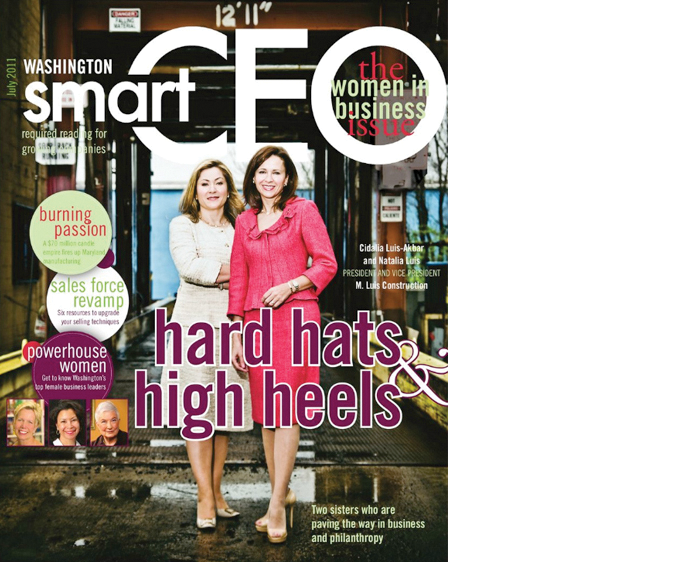 To read their story in Washington SmartCEO magazine’s July 2011 issue, download full story here.